Support for a controversial merger of Rutgers University with two other schools in New Jersey has hinged, in part, on just how much the restructuring will cost. But the proposals’ backers, including New Jersey Gov. Chris Christie, have yet to release an estimate. The topic is expected to be addressed during a legislative hearing on higher-education funding Wednesday. The plan would Rutgers merge with Rowan University in Glassboro and the University of Medicine and Dentistry in New Jersey. While the potential expenses associated with the latest school merger proposal remain unclear, a report on a previous plan to form a consortium of universities could shed some light on the cost. A 2002 blue-ribbon commission convened under then-Gov. Jim McGreevy found that merging Rutgers, UMDNJ and the New Jersey Institute of Technology would cost $1.3 billion over a 10 year period. That estimate covered restructuring and money for significant capital improvements to the colleges’ infrastructure. “It’s the additional capital for building additional buildings, and then the expense money that has to be added,” said Dr. Roy Vagelos, the former chairman of Merck and the merger commission’s chair, during testimony in 2006. The merger was conceived to save on administrative costs while helping to strengthen New Jersey’s scientific and medical research. ”It [would have] improved their research capabilities. There’s so much interactive, interdisciplinary research that is done today,” Vagelos said in an interview Tuesday. The plan met opposition of Essex County leaders concerned about the future of UMDNJ — which runs a hospital that serves Newark — and it died during the McGreevy years. It took Michelle Hickey and her daughter Christina, both in wheelchairs, nearly six hours to get to the We Care Dental Center, but it was worth it. Most dentists had turned them away because they didn't have the thousands of dollars in down payments required for the extensive treatment they both needed. Although they qualify for California's Denti-Cal program, it only covers extractions, not restorations. 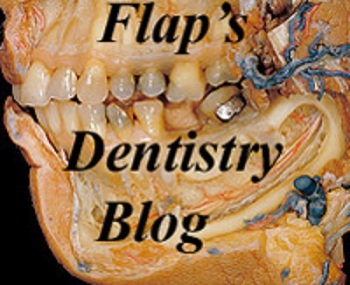 "They'll pull our teeth out, but fillings aren't covered," Michelle, a quadriplegic, told DrBicuspid.com. So she and her 32-year-old daughter -- who suffered a traumatic brain injury in an accident -- set out in their wheelchairs at 6:30 a.m. last week from Riverside to catch the first of many buses that would take them to the dental clinic in Rancho Mirage, a community in Southern California's high desert. "My teeth are falling out, and my daughter's teeth are turning black," Michelle said. "She brushes her teeth twice a day but has lots of cavities and barely has any teeth left." Before her husband died, the family had great dental care. Now Michelle and her daughter depend on Medicaid and Medicare. At We Care Dental, Melvyn Glick, DDS, co-founder of the center, examined them, took x-rays, and cleaned Christina's teeth. "Oh, God, it means everything," Michelle said of the opportunity to finally obtain dental care for her daughter. "They were very kind and personal. I do everything I can, but I'm stuck between a rock and a hard place." The main way we treat our patients is with kindness and love, Dr. Glick told DrBicuspid.com. With more than 16 million low-income U.S. children on Medicaid not receiving dental care -- or even a routine exam -- in 2009, according to the Pew Center on the States, dentists and ERs say they are treating very young patients with teeth blackened from decay and bacteria and multiple cavities. "I see it in their eyes before they tell me it's that way," Dr. Gregory Folse told ABC News. "We are able to intervene and take the pain away from their teeth and it brings the spark back. And that's my goal." Folse's Outreach Dentistry mobile clinic travels to schools around Louisiana, filling cavities and teaching children and parents about the importance of oral hygiene. In 2007, Congress held a hearing on the issue of children's dental health after Deamonte Driver, a 12-year-old Maryland boy, died when a tooth infection spread to his brain. His mother, Alyce Driver, had been unable to find a dentist to treat him on Medicaid and could not afford to pay out of pocket. At the time, Leslie Norwalk, then-acting administrator for the Centers for Medicare and Medicaid Services, called his death "a failure on many levels." And although she said that these types of dental services were covered, many dentists said that Medicaid reimbursement rates are too low. A study published in May 2011 demonstrated that despite efforts to boost the number of patients and providers in the Medicaid system, low-income families still had limited access to dental care -- except when they were able to pay cash. The state of Florida got an F in children's dental health in a 2011 report from the Pew Center on the States. In 2009, according to Pew, only 25.7 percent of Florida children on Medicaid saw a dentist. Periodontitis, inflammation of the tissue surrounding the teeth, affects more than half of adults and is linked to an increased risk of stroke and other heart problems. To evaluate whether fish oil supplementation could be an adjunct therapy for periodontitis, Dr. Alison Coates from the University of South Australia and colleagues from the School of Dentistry at University of Adelaide in Australia reviewed evidence from eight unique studies that involved humans. The group reports that the evidence for fish oil being effective in reducing periodontal symptoms is building but there is a need for more well designed studies that evaluate the supplement both alone and in combination with aspirin to be able to tease out whether fish oil by itself is effective. It is important that compliance to treatment is considered and that the dose and length of supplementation is appropriate. A clinical trial is underway in Australia that is investigating the effects of fish oil as adjunct therapy for periodontitis.